Since 1965, the Tennessee Turfgrass Association has held strong to its core mission: To promote the turfgrass industry through education, scholarship and research. We invite you to join us at this year’s conference and trade show at the Embassy Suites Hotel in Murfreesboro. This year’s conference features an excellent education program and an expanded tradeshow floor, plus our annual awards recognitions! This is a conference you will not want to miss! 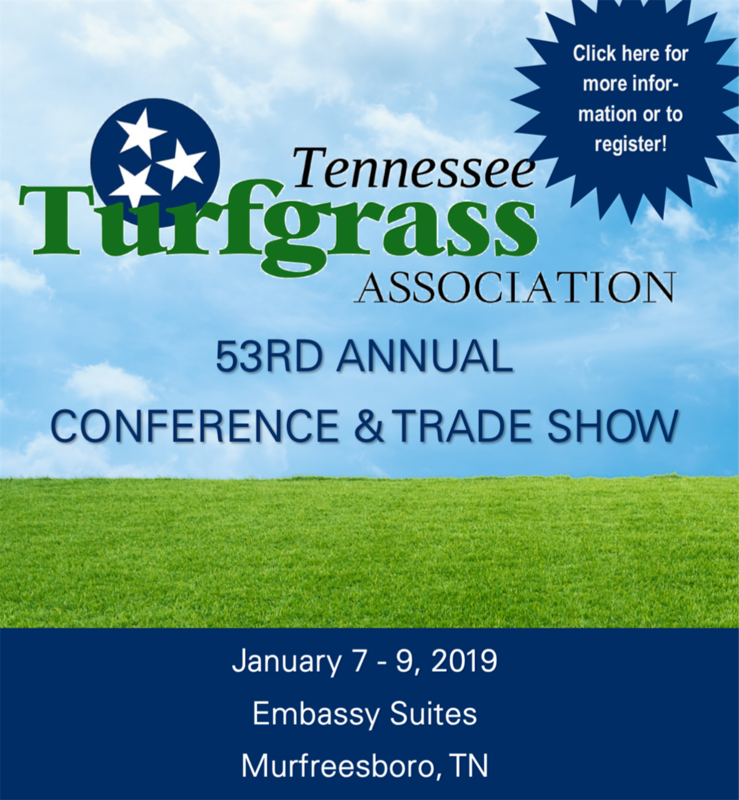 Please register online or complete the registration form and return it along with a check for all fees payable to The Tennessee Turfgrass Association. . Members are encouraged to email a copy of the registration form to The TTA and then mail the original with a check. Please keep a copy of the completed registration form for your confirmation. Everyone is encouraged to register early. The TTA has reserved a block of rooms at The Embassy Suites Hotel in Murfreesboro, TN until December 8. After December 8, reservations will be subject to availability and regular rates. The room rate is $151. Please call 615-890-4464 and reference the Tennessee Turfgrass Association room block to get the group rate or use the group code TURF. You can also make your reservations online by clicking here. For more information, call The Association office at 615-928-7001, email info@ttaonline.org or visit www.ttaonline.org.